The more expensive units will shred the paper into much smaller pieces and are generally more durable. I’ve seen commercial cross cut shredders that turn phone books into a fine grey mist of paper (OK, that’s a bit of an exaggeration but it’s not far off). In general, I think it’s important to spend a little more to get a durable model. Given how much junk mail we get each year, it’s nice to have a shredder that can stand the test of time. 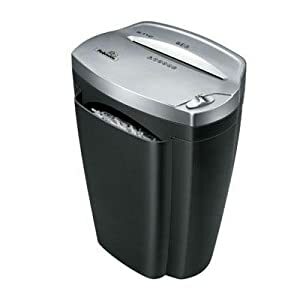 Finally, when you do buy a cross cut shredder, be sure to pick up a small jar of shredder oil and lubricant so you can keep it running in tip top shape. Previous PostReview Your Children’s Credit ReportsNext PostHow Much is a Stolen Credit Card Worth?